I've been waiting for something like this to come out for what seems like an eternity! 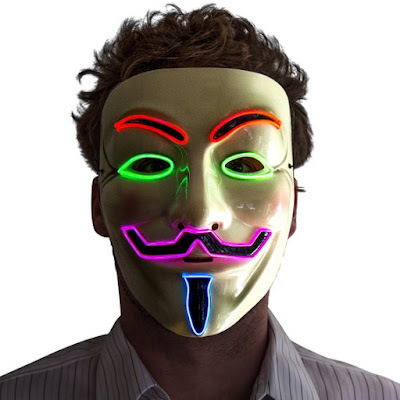 We all know how much neon lights have become so popular over the past few years - now they take it to a new level. 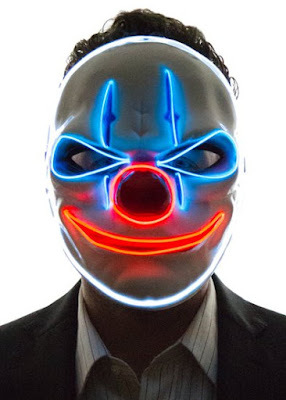 Can you imagine opening your door to some lit up mask with creepy features? I don't know if I could psychologically handle it. 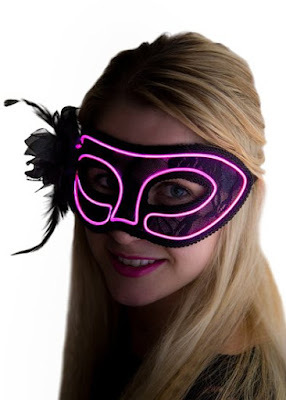 These would be super disturbing to wear at a Halloween party or even to a bar. I can also envision them worn to Halloween raves and rock shows. 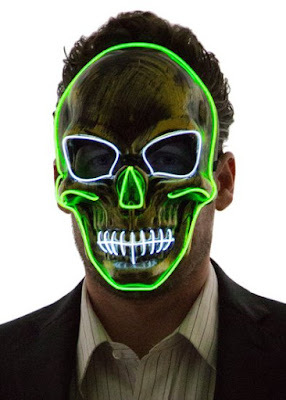 Honestly, there are plenty of uses for these Neon Nightlife masks even outside of Halloween. Come check it out! You guys can't tell me this creepy puppet mask wouldn't scare the crap out of you. You wouldn't even have to put a whole lot of effort in what you're wearing. 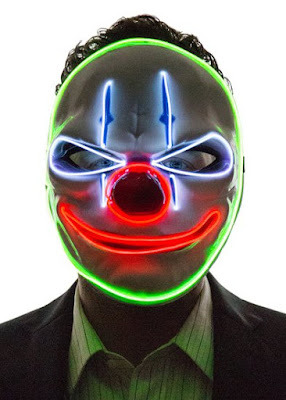 Both colors this mask comes in are equally scary. It just reminds me of something a serial killer would wear in a movie. Apparently plain old skeleton masks aren't good enough anymore. 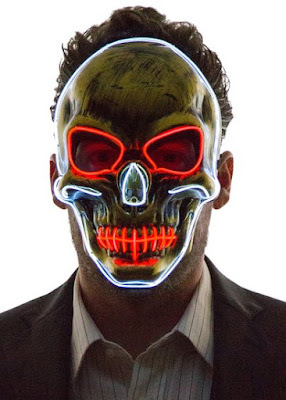 These death skull masks come in two different eerie colors. Can you imagine meeting someone wearing this at a night club or a bar? I would stay far, far away from that person! 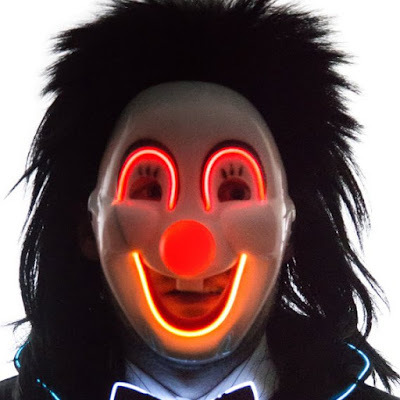 The first thing that I thought when I saw this light-up angry clown mask was "nope!" 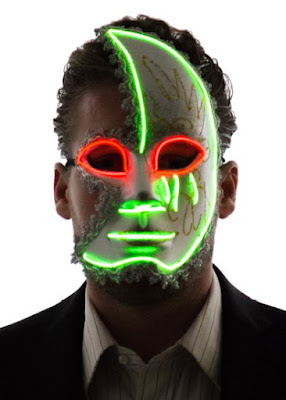 If someone approached me with this mask on, I would probably be paralyzed with fear. Do you see how extra scary he is when the neon lights glow in the person's eyes? It's too much! This Venetian mask is a classic. It comes in more than just two colors as well. 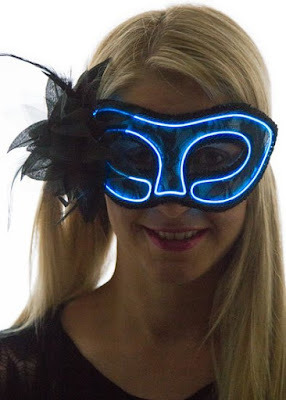 Plus if you get different colors you can use these for all kinds of masquerade events throughout the year. I feel like this is just an enhancement to a disturbing outfit. 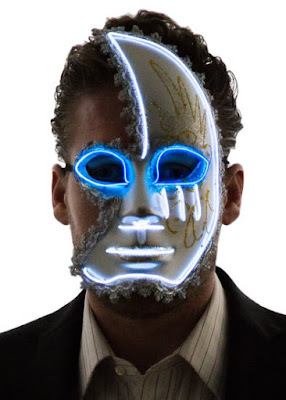 I think that this is the male version of the light up Venetian mask. This is a really eerie mask to me! It's also very pretty too. I would definitely consider getting this for myself. It would make for an attention-getting accessory for your costume. God, this is literally my worst nightmare. Even the nose lights up, which is kind of humorous! 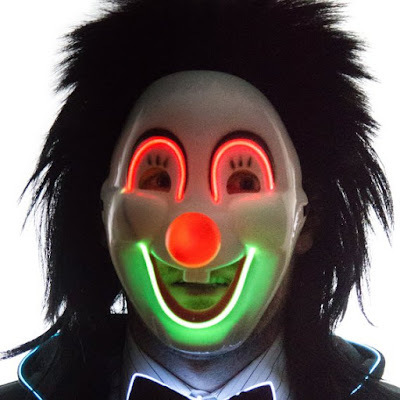 The sarcastic clown face mask does NOT come with that spooky wig, thankfully. 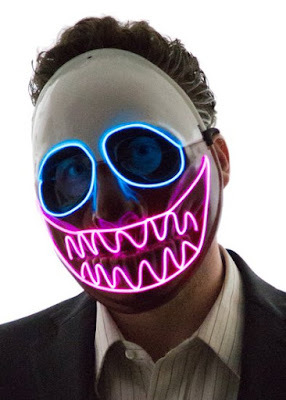 If someone showed up with this mask on at my doorstep, I would probably have to hide myself in my room. 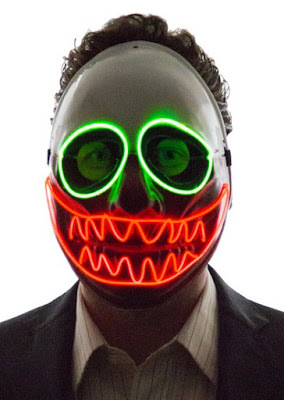 This freaky light up painted face puppet mask is so unsettling. The next scariest things aside from clowns are puppets and dolls, in my book. This actually reminds me of a mask from a scary movie, but I honestly can't remember the name of it. 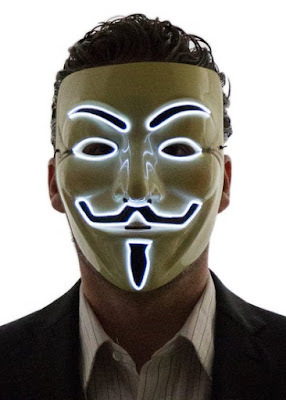 I can see these light up masks being the hottest trend for Halloween 2016. 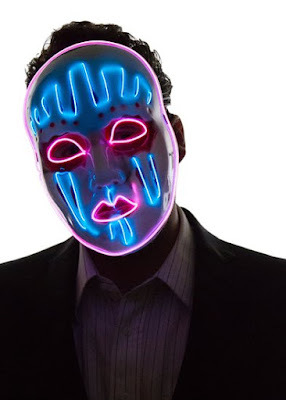 The Neon Nightlife masks are an easy way to dress up and freak everyone out! Which one would you wear? I mean, for myself, I love the Venetian masks. If you were to scare me, any of the clown or doll masks would make me scream! Don't forget to comment below and tell me what your thoughts are.